Once upon a time, there was a television show known as Beauty and the Beast. 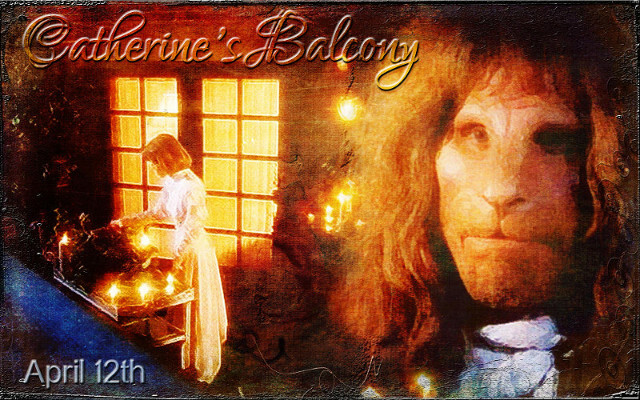 The lovely Beauty was Vincent and the magnificent Beast was Catherine Chandler. (Or was that the other way around?) This beautiful show lasted not quite 3 seasons, yet the fandom continues. If you are looking for fandom, check out the Yahoo Groups. The BBTV yahoo group is one of the most active lists in fandom. BBTV is a Classic group (Catherine is alive and well, season 3 a bad dream.) If you are looking for the season 3 group, the Yahoo list can point you in the right direction. If you are looking for Chandler’s artwork, you will find it (and other BB artists) through the Deviant Art link. An art community where my art is displayed along with other B&B artists. I collect them in “my favorites” section. Note: Winterfest Online is an event co-operatively hosted on multiple websites for the enjoyment of ALL fans. Statues, costumes, jewelry, puzzles, toys… you name it, we have it. Browse our gallery. Looking for another SND? For all the stories by a certain author? Look in the fanfic database and find them. An eternal flame burns here in memory of those who have been, and forever remain, a part of the circle. No recent news, but here's our archive of the various releases.